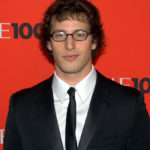 Andrew Samberg is an American actor, comedian, filmmaker and musician. He is a member of the comedy music group The Lonely Island and was a cast member on Saturday Night Live (2005–2012), where he and his fellow group members have been credited with popularizing the SNL Digital Shorts. He occasionally goes by the stage name Young Sandwich. "It’s weird to have people so interested in your personal life. It’s a part of the business that grosses me out. I’m always bummed out for people who just happen to be dating a celebrity, and they’re also famous, and they can’t live their life." "A sign now of success with a certain audience when you do a short comedy piece, anywhere, is that it gets on YouTube and gets around. It’s always something you’re thinking about unconsciously."